FuboTV is a streaming bundle for fans of futbol, not football. 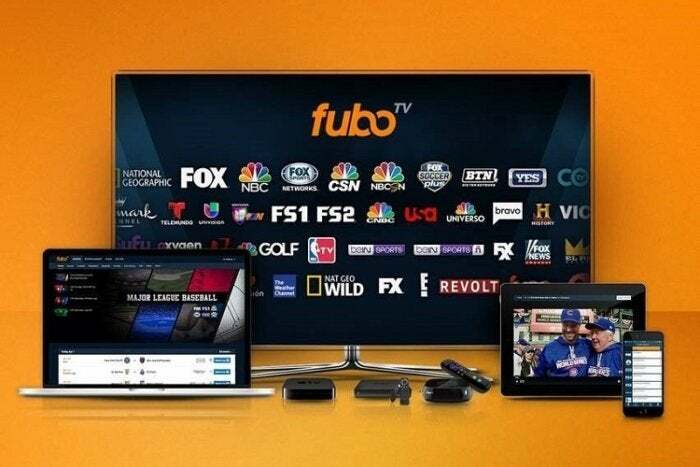 For $35 per month—a promo rate that will eventually rise to $50 per month for new subscribers—FuboTV offers roughly 50 streaming channels, more than a dozen of which revolve around live sports. And with channels like BeIN Sports, Fox Soccer Plus, and Eleven Sports in the lineup, soccer always seems to be on TV. That focus helps FuboTV stand out from other streaming bundles such as Sling TV, PlayStation Vue, and Hulu with Live TV, but it involves a trade-off: Without ESPN channels, the NFL Network, TNT, or TBS, FuboTV is an incomplete sports offering, especially for fans of football, basketball, and the ESPN’s army of talking heads. The $35-per-month promo rate also comes at a price, as Fubo’s television apps remain a work in progress. Where FuboTV really pays off is in its selection of soccer-centric channels, which are either unavailable or much more expensive through other bundles. You can’t get Fox Soccer Plus or Eleven Sports through Sling TV, for example, and you can’t get BeIN Sports or Eleven Sports through DirecTV Now. PlayStation Vue would cost $70 per month with Eleven Sports and Fox Soccer Plus, and it still doesn’t include BeIN Sports. Hulu with Live TV doesn’t offer any of these channels. Some of FuboTV’s sports channels cost a lot more with other streaming bundles–if you can get them at all. The overall format of FuboTV is similar to other streaming bundles, in that subscribers get a batch of live streaming channels that mirror their cable counterparts. Many of these channels also offer a selection of on-demand video, and some support a replay feature that lets you watch a few days’ worth of past programming. DVR is included at no extra cost, but here the system is more limited than other bundles. Users get 10 slots that can store one program apiece, and each of those slots has a 10-day time limit. While that might be useful for watching sports games you’ve missed, it’s a non-starter for watching a large collection of TV shows on your own schedule. Here’s the other catch: Right now, FuboTV’s Apple TV and Roku apps only support live TV, while Fire TV and Android TV only support live TV and DVR. To watch on-demand programs or use the replay feature, you need FuboTV’s mobile apps, desktop website, or a Chromecast. Alternatively, you can login to nearly 30 TV Everywhere apps to watch on-demand video on many more devices, though this option isn’t available for every channel. 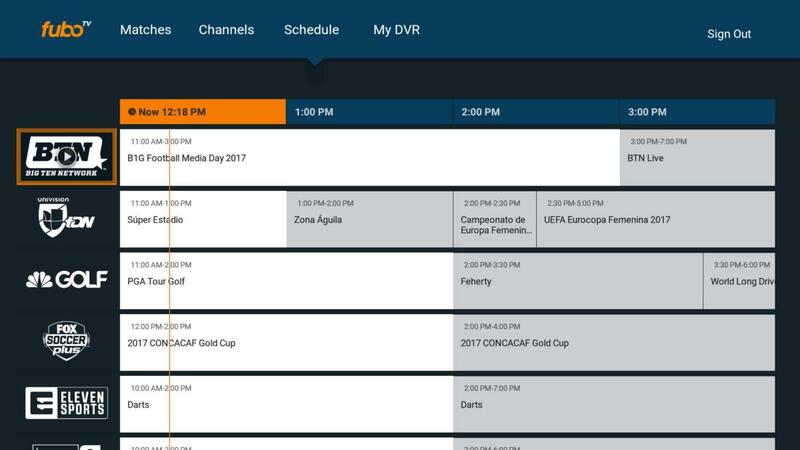 While FuboTV’s mobile and web apps are feature complete, its native television apps are currently in beta–and it shows. There’s little consistency in FuboTV’s interface across different platforms, and there are plenty of design quirks and bugs. For example, the Fire TV and Android TV apps include a handy “Matches” menu that lets you browse current and upcoming events by sport. It’s a great way to expose the full breadth of sports that FuboTV offers–especially non-mainstream stuff like Rugby and Darts–but this menu isn’t available on Apple TV or Roku. The Roku app also uses an outdated template-based designinstead of Roku’s more modern development tools, which is slower to navigate and lacks a grid-based channel guide. The “Matches” menu is a nice touch, but it’s unavailable on Apple TV and Roku players. The apps even stumble on some basic functions. 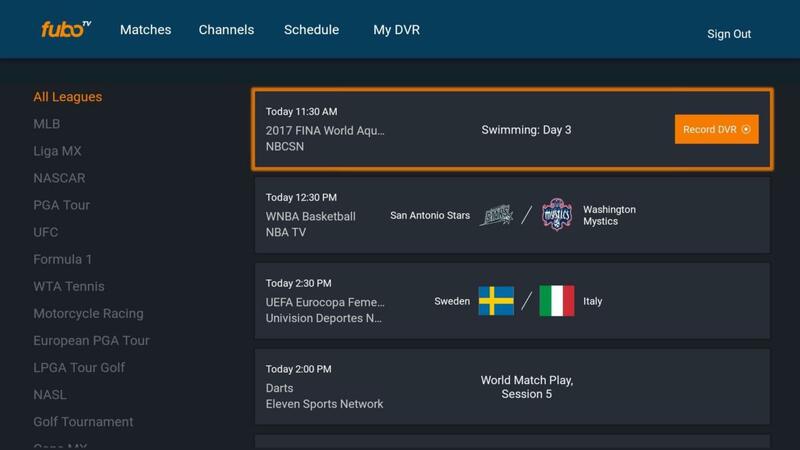 While browsing the grid guide, FuboTV doesn’t let you highlight upcoming programs for more info or DVR scheduling, and it has a nasty habit of sending you to a random channel when you return to the guide from live TV. The “Matches” section of the Fire TV app also failed to show every game that was currently on air, and incorrectly warned that it would only store recordings for 72 hours, rather than 10 days. 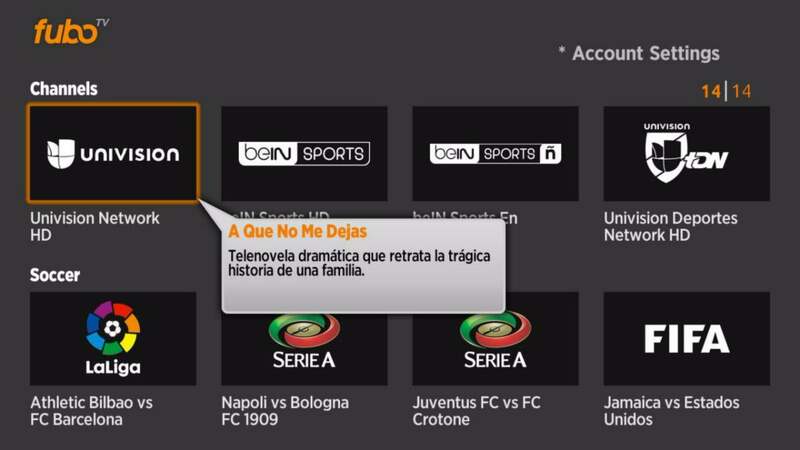 The template-based interface of FuboTV’s Roku app makes navigation a chore. The saving grace is video playback, which was reliable in my experience, and streamed with much lower latency than other streaming bundles. While watching FS1, for instance, FuboTV’s live feed arrived roughly 30 seconds ahead of Sling TV, and 40 seconds ahead of PlayStation Vue. That’s great for avoiding spoilers on social media–or from a noisy neighbor–while watching live sports. But even here, FuboTV falters on frame rate. While Fox Sports channels and the Big Ten Network stream at 60 frames per second, other channels top out at 30 frames per second. If you appreciate having smooth motion for all sports, news, and late night programming, you’re better off with PlayStation Vue or DirecTV Now.